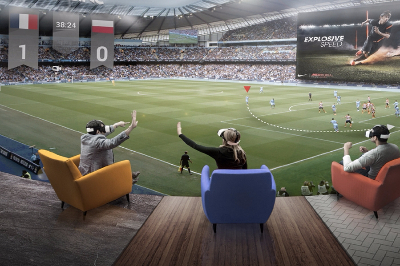 In the last decade, virtual reality games involving the sport of football or soccer, as it is known in North America, have had an explosive surge to the top of video game picks across the world. With annual instalments of the various football gaming series released during the course of each season, this sphere of gaming has attracted great attention. Knappily joins the game to learn more. 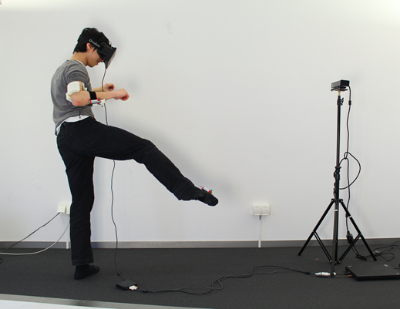 Beginning over two decades ago, football- or soccer-related virtual gaming has gained immense popularity with youth. 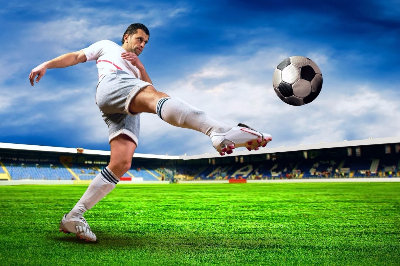 As a concept, it has developed from the humble roots of allowing gamers to control their favourite teams on a virtual substratum and play the sport inside a television or computer screen. Since the advent of new technology, this basic function has evolved into an online multiplayer extravaganza, even permitting gamers to control individual players, create fictional characters and take on management as a parallel career to the conventional player career. In fact, the parallel took flight so well that few developers saw fit to create games based only on the managerial aspect of the game. 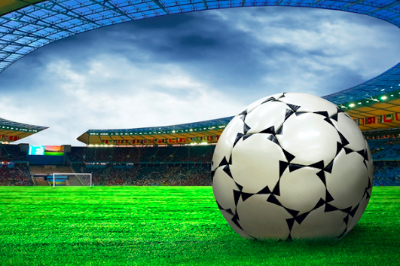 Today, the world gaming market is littered with football games, some of the highest pedigree, while others simplify their approach to a mere kick of the ball. Regardless, one can agree that this market has boomed and is on the up and up for a fair few years. Why has it caught on so well? At its essence, football games bring to life a football fan’s greatest aspiration – that of playing with their favourite club or national teams. By branching out into individual player control, appearance, media status, team chemistry, contracts, yearly goals and transfer budgets, the gaming sector has created a vast network for fans of various inclinations to try their hand at their favourite form of the game. Today, football supporters with access to one such game have the opportunity to vicariously live out their lifelong dream of being a player, admittedly virtual, and don a jersey of a club or nation of their choosing. 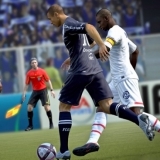 With graphics improving with every instalment, fantastical story lines, better game play, fewer glitches and the opportunity to pit your skills against anyone else on the planet, the football gaming industry has successfully incorporated their demographic with the largest scale of virtual gaming. When do these games gain most momentum? The giants of the football gaming industry have now made the release of a new version of their pre-existing game franchise a yearly affair, by coming up with an annual reboot of their game every time. EA Sports with their world-famous FIFA series have been at the trade since 1993, and have had a lion’s share of the market since their inception. In 2001, a major competitor to EA was born in the form of Konami’s Pro Evolution Soccer (PES), which has had a sizeable impact on the industry due to certain tie-ups that EA could not pull off. As far as the breadth of supported platforms is concerned, only these two series have the furthest reach. However, a multitude of smaller franchises such as Real Football, Dream League Soccer and Championship Manager have made their way into the neo-silver screen of tablets and cell phones, enlisting themselves primarily as applications. Usually, FIFA and PES are released in mid- to late-September, shortly after the new season of football begins in Europe, which is their biggest source of inspiration. The games have huge revenue flowing in between the months of September and January, as games are purchased as gifts over the extended holiday season throughout the world. The occurrence of the Euros or the FIFA World Cup every two years boosts publicity and sales of the high-profile games that can afford advertising at the biggest football events in the world. Where has development reached in this area? As of the most recent developments in FIFA and PES, the control and graphics of the game have reached unprecedented heights. FIFA17, released in September 2016, showed the world a wondrous new feature – that of a tailor-made career in the form of Alex Hunter, a British persona that gamers everywhere could assume and play out a professional career with. As Alex Hunter, gamers were free to undergo training sessions, pre-match talks, meetings with the club staff and manager, interaction with teammates and of course, play games in a position of their choosing. The progress in alternate personality is so high that it is now possible to choose from up to three responses for each conversation that Alex Hunter has, moderating the temperament that the player will show both on and off the pitch. Both high-profile series have bagged major names in the commentator business as voices in their games, with EA having Martin Tyler, Alan Smith, Clive Tyldesdale and Andy Townsend as English commentators, while Konami have Peter Drury and Jim Beglin. Overall, the gameplay has been smoothened to incredible lengths, with real-time passing and shooting, graphic details on tackles and injuries and even facial expressions during the chanting of national anthems in the game. Who are some major benefactors? The franchise owners, EA and Konami, have made millions so far in the sales of their flagship titles. 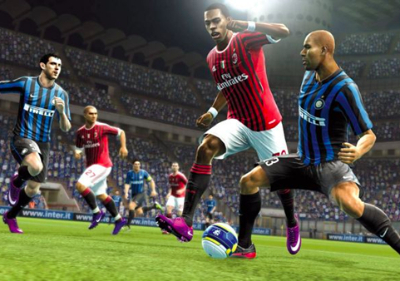 PES has sold nearly 82 million copies worldwide, and FIFA 12 earned $186 million in the first week of release in September 2011. Apart from the direct patrons, a massive fan-base derives hours of enjoyment from an almost-real experience of professional football. In addition, the brands that tie up with these games enjoy a huge degree of publicity just by having their names printed on signboards in gameplay. Leagues across the world were brought to the limelight as the evolution of the games progressed. 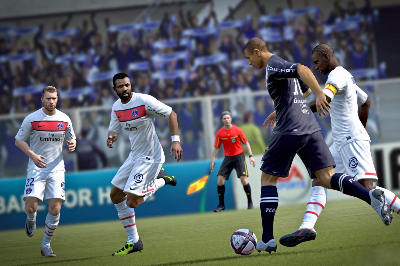 In FIFA14, the Indian national team featured Sunil Chhetri, Robin Singh and Jeje Lalpekhlua. The FIFA franchise brought its flagship Confederations Cup and World Cup to its namesake game, and gives gamers the opportunity to lift a virtual replica of the trophies. PES and Konami signed with Europe’s governing body UEFA to further the football agenda in terms of press for the Champions League, Europa League, Super Cup and the Euros. In FIFA16, a ground-breaking new innovation saw the entry of women’s football to the worldwide gaming industry, with availability of women’s national teams to choose and play with. How do we expect it to change in the near future? As of this point in time, we are very fortunate to witness a healthy competition between major game developers and the impressive feats they perform to give their games the edge. With all of the aforementioned features currently in circulation across video games in the world, it is no surprise that this market is one worth investing in. Nobody can place a guess on what could possibly await us in the future, but the gamers and fans begin to speculate and dream. Improvements in accuracy and detail of the women’s game, tweaks in glitches, improved corners/set pieces, less predictable refereeing and a massive line of improvements in Alex Hunter’s “The Journey” are expected in upcoming versions of FIFA, and likewise in PES. However, it is worthwhile to note that the current state of the football gaming industry is quite impressive, and can only go up from here. It is an exciting time to be involved in both analysis and consumption of the products of this market, and we can’t wait to see what is coming next. Hi, I also created a website on FIFA 18 game. Have a look here: http://fifa18update.com/ . It has all information about the game and it will be cool if you add our site in your reference list. Keep doing good work.